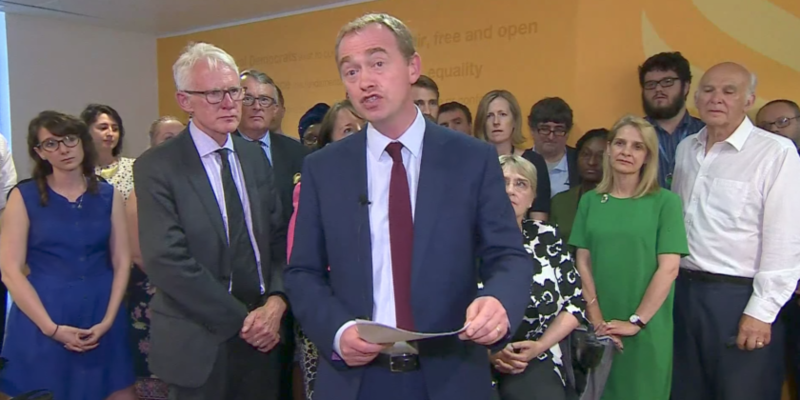 Mr Tim Farron, an evangelical Christian who has served as Lib Dem leader since 2015 resigned. He was strongly criticised and also called ‘fundamentalist Christian homophobe‘ especially during last General Election campaign for failing to answer questions about his views on homosexuality even if he made clear he supported equal marriage and LGBT rights. In an interview he did not say clearly whether or not he thought it was a sin to be homosexual, as Sky News reported. But apparently his answer was not enough. After his refusal, he was criticized by many ‘celebrities‘; the comedian David Baddiel called him “fundamentalist Christian homophobe“. “To be a leader, particularly of a progressive liberal party in 2017 and to live as a committed Christian and to hold faithful to the Bible’s teaching has felt impossible for me,” he said announcing his resignation as party leader on the 14th June. “We are kidding ourselves if people thought Britain was a tolerant, liberal society,” he also added. U.S. passes bill aiding Christians and Yazidis victims of genocide – When will Europe act to help them?